The cliché about books and covers applies double to recorded music. Some LP sleeves, especially those produced by little independent folk labels, take gauche, add extra gauche, then multiply by the number you first thought of. The music may be brilliant; it’s just that the graphic design was entrusted to the bass player’s second cousin, who is doing Year 8 photography. The pic is like a snap of the dorky uncles gathered at Christmas lunch. Anything would have been better. A blueprint pinched from an old guide to making banjos, or just the band’s name in nice clean letters. 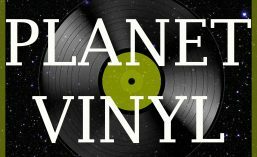 Ah, but the whole point of Planet Vinyl is to ignore the visual. I had never heard of the Champion String Band, though I love folk. Their one self-titled LP was released on an obscure provincial English label from Newcastle, 35 years ago. The cover is a shocker. But who cares about that? The only thing which matters: can the dorky uncles actually play? Oh yes they can. Listen to this set of three tunes, and the combination of fiddle and rhythm guitar. Close your eyes, open your ears.